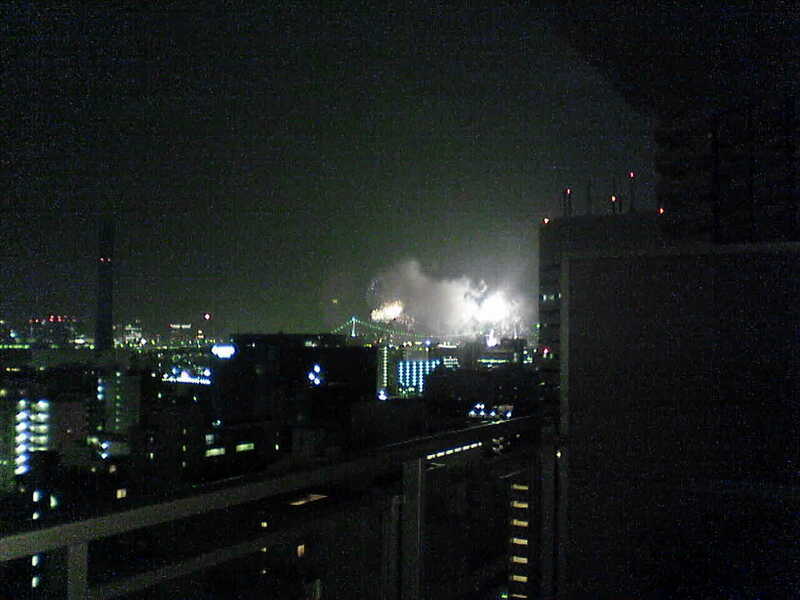 Well, Saturday night saw the annual Tokyo Bay fireworks display, which luckily we were able to see from our balcony, so we got some friends over and watched the amazing 90 minute hanabi display before getting down to the equally fun job of finishing off all the alcohol in the apartment. Below is an awful picture of the lights, but honestly, they were absolutely spectacular! The local website with some stats is here, and Tokyo Essentially has a summary of the main Tokyo hanabi festivals here.